Hiring a professional housecleaning team is a great way to save time and ensure a healthy living environment. However, there are a few things you need to keep in mind before your first appointment. Here are five top housecleaning etiquette tips to consider. Whether it is your first visit or a weekly standing appointment, it is always proper housecleaning etiquette to prepare before the visit. Put away personal items and clutter to allow your cleaner to really get to the things that matter, such as scrubbing floors or getting into hard-to-reach areas. While you aren’t expected to have a home that’s already tidy before a housecleaning appointment, it does help to be somewhat ready for professional intervention! Just like there are only so many hours in the day, there’s only so much time your professional cleaner has to devote to your home. If you have an overly messy residence or you know that a particular room is unusually bad, be sure to speak up ahead of time to allow for cleaning schedule adjustments. Another important housecleaning etiquette tip is to communicate your expectations clearly. For example, if you want the shelves wiped down in the refrigerator and only certain products used, let your professional cleaner know. In most cases, they will do their best to accommodate your wishes. If you have pets in your home, make sure they are in a different area of the home or otherwise controlled during your visit. This is for the safety of both the animal and the cleaner. Scared pets are often territorial and might pose a risk until they become used to new visitors. 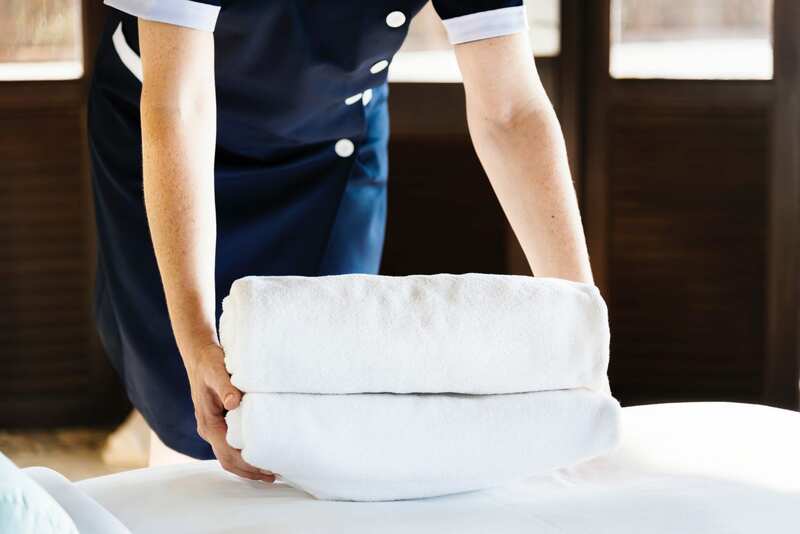 Many people wonder if they need to tip when hiring a professional cleaner. The truth is that this isn’t necessary or required. However, if you feel your experience has been exceptional, it is always appreciated. Hiring a professional housecleaning team is a great way to save time and money. But these basic etiquette tips help ensure a smooth process and a great experience every single time.